Feel like you gonna get wild? According to many people, Belgrade is one of the most popular party destinations in the world! 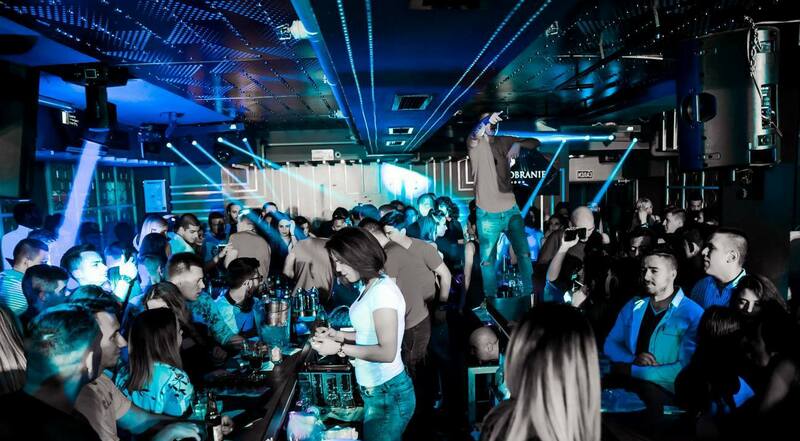 Belgrade nightlife is divided on two seasons: winter and summer one, so we do have working clubs during the whole year! Also, we do have parties every day of a week, no matter is it working day or weekend! That is also a fact for which we are famous for! Wanna party on Saturday night? Feel like you gonna get wild? If you are up to some party tonight, we have a best suggestion for you, where you can enjoy in great cocktails and RnB on Wednesday. Mr Stefan Braun, one of the best clubs in Belgrade, is ready and waiting for you. Mr Stefan Braun club is making a party called “Girls are gonna get wild”, and ladies are allowed to drink cocktails for free until 01 am. Just for you to know this club exist for more than one decade and just for that they are well known for their amazing cocktails. With tradition of great clubbing for more than 15 years old, every event is different theme party. Most friendly stuff of the club will make your night one of the best in your life time! Everything here is about great cocktails, so it is not strange that all the party is on big central bar of the club! Bartender show is something that is unique for this club, so don’t be surprised if you feel like you on a movie set of “Cocktail” with Tom Cruise!